When farmer Aymé Pigrenet loses his wife, he is not exactly overwhelmed by sorrow, rather by the sheer amount of work that suddenly falls on his shoulders. In quest of a new spouse, he goes to Romania where he meets Elena. A recluse is accused of murdering a young woman simply because his neighbors think he is strange. Jean-Pierre, a frazzled sport agent, has better things to do than to look after his friend's labrador Didier. An amazing discovery will lead him off on an amazing adventure. 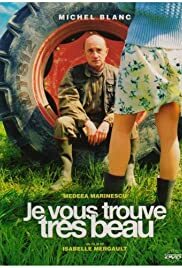 Isabelle Mergault's You Are So Handsome/Je vous trouve très beau is a conventional mainstream French film with a slightly new theme: what happens when an Eastern European mail-order bride is brought in on the QT to help out with chores on a French provincial farm. Shortly after the film begins, French farmer Aymé (super-popular actor Michel Blanc) loses his wife in an off-screen accident. Little love was lost between the gruff pair, and once his wife's gone, Aymé's main concern is who, now, is going to do the laundry, cook, and tend to the chickens and cows on his farm. He can't do all that himself. So he's barely out of his funeral suit when we see him accompanying a professional matchmaking lady on a plane to Bucharest to interview prospective brides. It's obvious there are lots of girls over there desperate to get out, some with the rudiments of French. One of the interviewees, Elena (Medeea Marinescu), has the sense to dress down and say she likes animals. "You Look so handsome" is what they all tell the farm widower  even Elena. When they say it, Michel Blanc's rubber-faced deadpan goes all pouty. He winds up picking Elena  sort of. He doesn't marry her. He arranges for her to arrive back home after him, pretends she's a distant relative come for an internship on the farm, and doesn't even admit to his family that he's been to Rumania. He produces faked photos and canned sauerkraut to convince them he was in Germany for a farm equipment trade fair. He also forces Elena to pretend to everybody else that she speaks no French. Nonetheless Elena is soon living with Aymé  though "on approval"  and helping with chores. She wants to be affectionate, but he's as brusque as ever and will have none of it. The pout stays put, despite the charms of Elena, who could pass as a young Meryl Streep and captivates all the local boys at public functions. Aymé is not above getting jealous when that happens. He's possessive, but not giving. Je vous trouve très beau isn't challenging or subtle, but it does up the rich nation/poor nation dilemma. It's also a change from the general run of French films focused on sophisticated bourgeois Parisians (or their outcast banlieu neighbors). Veteran actress and experienced screenwriter Isabelle Mergault's first directorial effort is an entertainment, not a specific regional portrait or a searching piece of social realism designed to arouse our geopolitical awareness. It's a sentimental tale that milks its laughs and tears in an easy, simplistic way  even if it's also marked by an emotional trajectory that leaves one feeling rather muddled. The rest of the cast is replete with (generally believable) stereotypes: the noisy relatives (who're quite appealing, but hardly seen in depth); the young country boys who gather around the pert, mini-skirted Elena; a big mute boy, her best friend in the daytime, who moons around her and helps with the chores; an old crone who has one repeated joke refrain, "Who's dead?" The cliché we've got to believe in is that Aymé's gruffness eventually melts  but a little late. 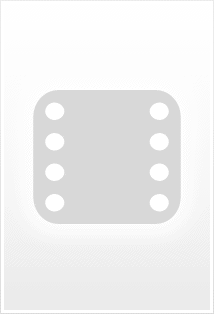 By the time he's realized that he cares for Elena as a person and not just a housekeeper, and gives his one big speech about her coming on to him made him feel old and undesirable and turn on the one thing he most wanted, Elena's just about unhappy enough to walk back to Bucharest, and he provides a way. This is the old story of the hard-hearted loner (Aymé and his dead wife have obviously lived as if they were alone for years) whose façade eventually cracks and lets the human being timidly peek out. But the process is so protracted we don't get a clearcut resolution. Most of the relationship scenes are little images of hurt and apology, reaching out and drawing back. First-timer Mergault hasn't achieved a sure rhythm, her drama veers too much toward tele-drama, and her film's too timid about its payoffs.